Well, here is my contribution. Tragedies will never end. This picture quotey thing above is as powerful as can be. 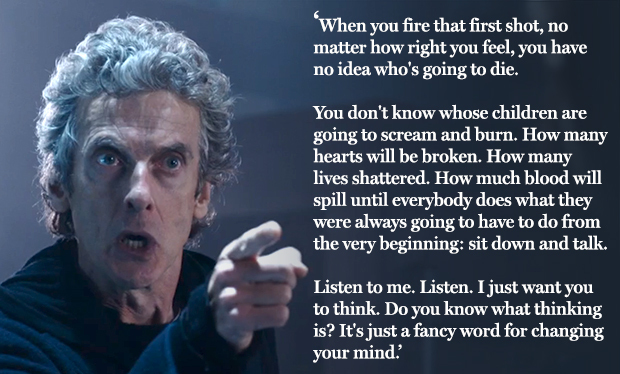 It’s too bad we don’t have a real Dr. Who to talk sense into all the world leaders. I feel you, bruh. Nice article btw.